The CEO applauded the singling out of the agriculture sector for special development support as a labour-intensive industry. 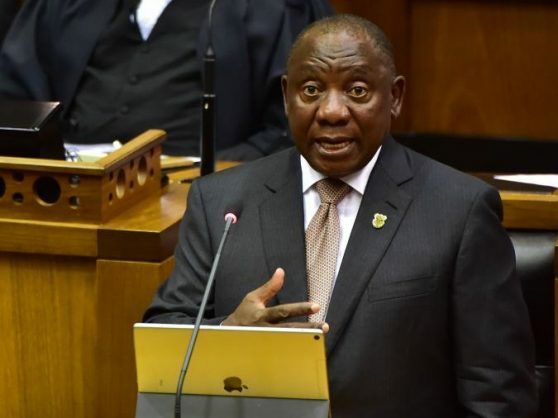 President Cyril Ramaphosa correctly prioritised efforts to revitalise the economy in his state of the nation address (Sona) on Thursday, said the Agricultural Business Chamber (Agbiz). The South African Wind Energy Association (SAWEA) also weighed in with praise, saying Ramaphosa provided much-needed clarity on the energy sector for investors in his address to parliament. In its statement, Agbiz said Ramaphosa rightly focused on strengthening education and skills development, restructuring and optimising service delivery by state-owned institutions, and rooting out corruption and state capture. “Building on his new approach adopted in the 2018 Sona of instilling a changed vision of hope, unity, service, and prosperity, the president has already put in place action plans to address the daunting challenges that confront South Africa and its people,” said Agbiz. The outcomes of last year’s summits on jobs and investment to address policy uncertainty and inconsistency and remove barriers to investment were critical, said Agbiz CEO Dr John Purchase. He applauded Ramaphosa’s singling out of the agriculture sector for special development support as a labour-intensive industry. “Various other cross-cutting matters and recommendations regarding water and state-owned enterprises, especially the restructuring of (power utility) Eskom, are welcomed,” Purchase added. SAWEA CEO Brenda Martin praised plans announced by Ramaphosa to split Eskom into three separate “generation”, “transmission”, and “distribution” entities as a vital step towards procuring smarter, cleaner and more affordable energy for the country. She said this would pave the way for the procurement of new renewable energy underpinned by policy certainty. “This is a welcome change from stop-start procurement over the past three years, which has inhibited investment, jobs, and growth in the sector,” said Martin.